About Accreditation: Education accreditation is a type of quality assurance process under which services and operations of educational institutions or programs are evaluated by an external body to determine if applicable standards are met. If standards are met, accredited status is granted by the agency. This quality assurance process is independent of government and performed by private membership associations. The U.S. accreditation process developed in the late 19th century and early 20th century after educational institutions perceived a need for improved coordination and articulation between secondary and post-secondary educational institutions, along with standardization of requirements between the two levels. Accrediting Association of Seventh-day Adventist Schools, Colleges and Universities; National Council for Private School Accreditation (NCPSA); North American Division of the Seventh-day Adventist Church; Middle States Association of Colleges and Schools Commissions on Elementary and Secondary Schools (MSA-CESS); Virginia Council for Private Education (VCPE) in the Commonwealth as authorized by the Virginia Board of Education. 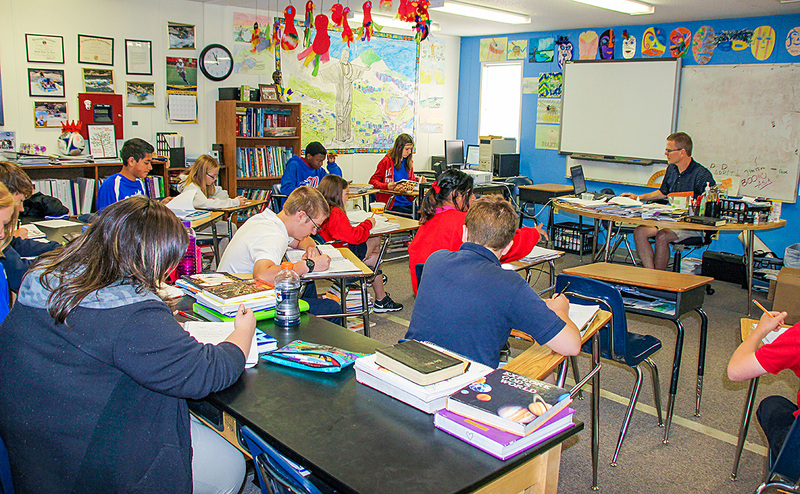 Admission Policy: Desmond T. Doss Christian Academy admits students of any race, color, ethnic background, country of origin, or gender; proffers all rights, privileges, programs, and activities generally available to students; and makes no discrimination on the basis of race, color, ethnic background, country of origin, or gender in the admission, scholarship programs, and athletic or extra-curricular programs.